I saw 205 movies in 2015. Many bloggers no doubt watched more, some maybe watched less. You can read about every movie I watched here – if you’re really bored this early in the New Year – or I can just take you on a quick journey of the highlights. 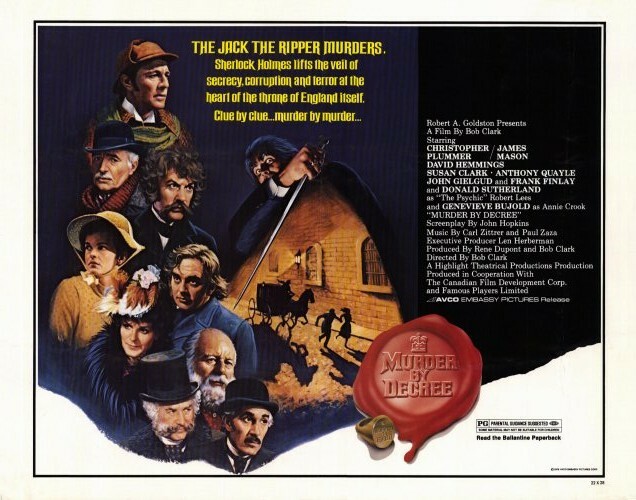 I find that most people – even Sherlock Holmes fans – have never heard of Murder by Decree. They don’t know that it stars Christopher Plummer (below right) as Holmes and James Mason (below left) as Dr. Watson, don’t know that it’s one of the most atmospheric Jack the Ripper films, and don’t know that the supporting cast consists of such exceptional talents as John Gielgud, Geneviève Bujold, Donald Sutherland, Anthony Quayle and Susan Clark, to name just a few. What they might know is that the film was directed by Bob Clark, who also directed the Porky’s movies, which might understandably be enough to keep them away from a Clark-directed Sherlock Holmes film. (Those people should be aware that Clark also directed the 1983 holiday favorite A Christmas Story.) Yet Murder by Decree remains a very good thriller/horror/mystery that shouldn’t be ignored this Halloween or any other time of the year. Try this experiment: ask most people who they think of when they hear the words “Sherlock Holmes actors” and they’ll likely say Benedict Cumberbatch. You might get a few Robert Downey Jr.s here and there, but more than likely, it’ll be Cumberbatch, and understandably so: the BBC’s Sherlock is an excellent series. But if you could go back in time and conduct your experiment between 1940 and 1985, there would be only one answer: Basil Rathbone. 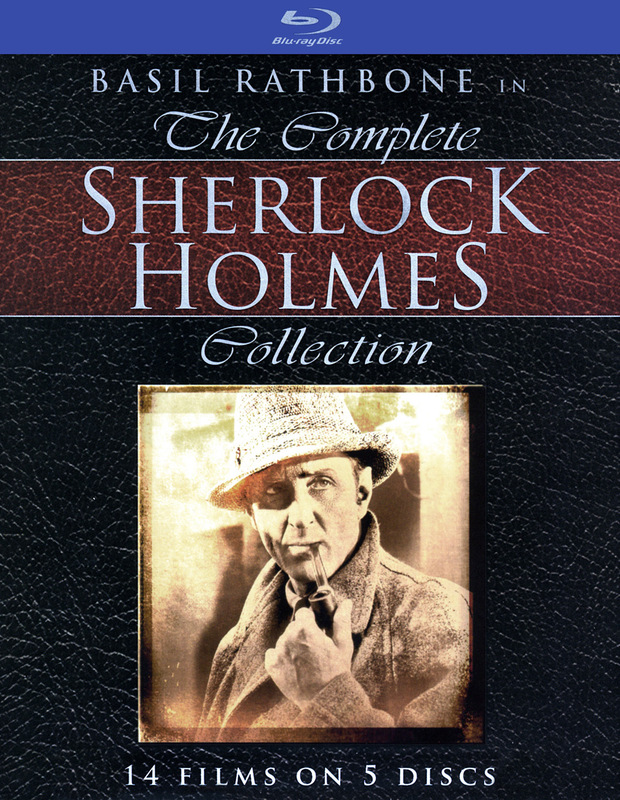 Continuing with more Sherlock Holmes, movies from and about the 80s, and more. On a transatlantic journey from London to Washington, a British agent (Gerald Hamer) carrying a secret government document is abducted. 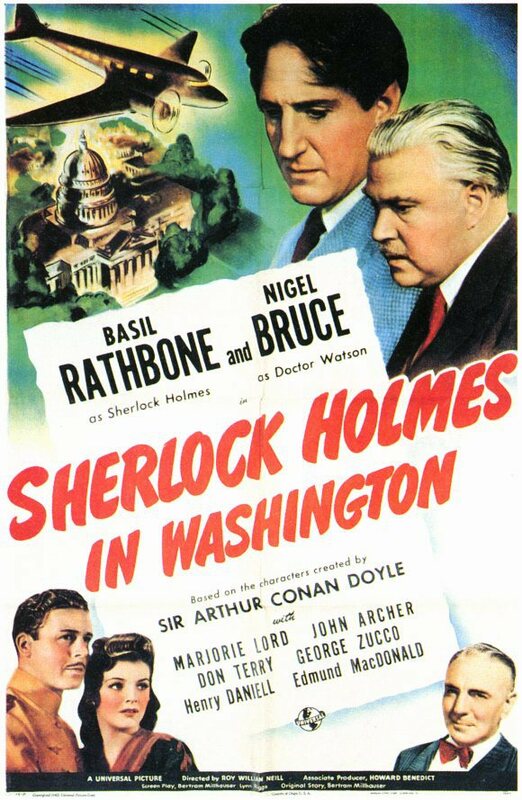 Sherlock Holmes (Basil Rathbone) and Doctor Watson (Nigel Bruce) are hired to find the agent and – more importantly – the document before it falls into the hands of the Nazis.